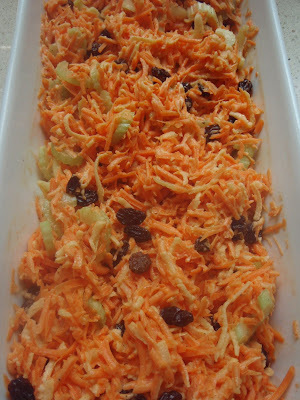 Carrot salad is very popular this time of year. It is cool, crunchy, and refreshing. This recipe is very easy and a traditional take on carrot salad. 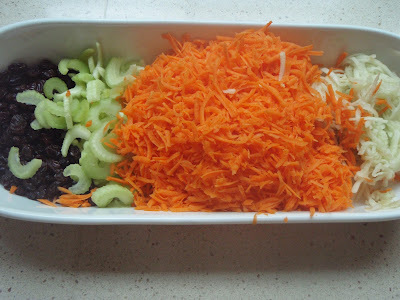 This is my favorite carrot salad recipe. My mom and sister Amelia adore it, too. I added it to our Thanskgiving Menu this year because I thought it would be nice to have something cold on the buffet. 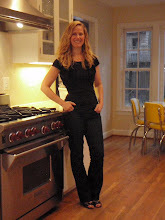 It was a hit!! 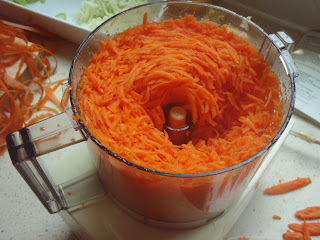 Shred carrots and apple with food processor using shedding disc or by hand with a box grater. Combine carrot, apple, celery, and raisins in medium bowl, toss to combine. 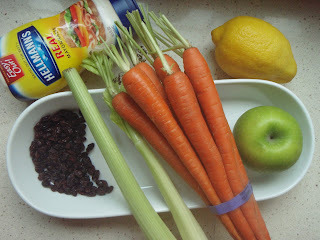 Add mayonnaise, lemon juice and fold into ingredients until well blended. Add kosher salt and pepper to taste.